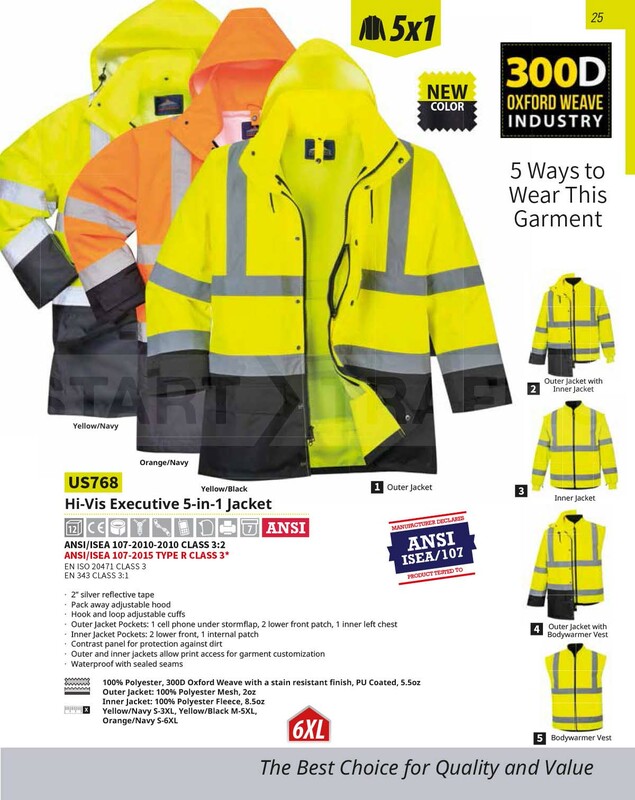 This highly reflective jacket offers a total of 5 different ways to wear it, allowing the user to wear the jacket in a way that suits the climate, and weather conditions. 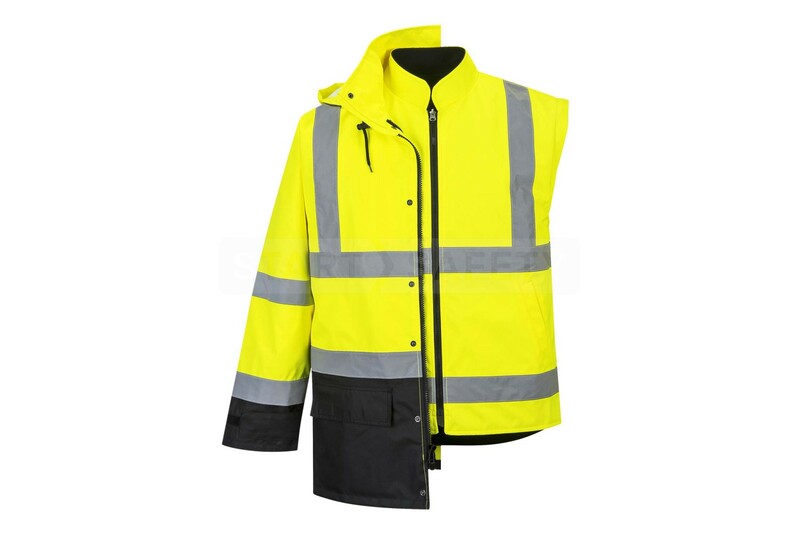 2” reflective silver tape ensures that contractors on site can be seen clearly, a contrast panel around the cuffs and lower waist prevents dirt from contaminating the brighter surfaces. 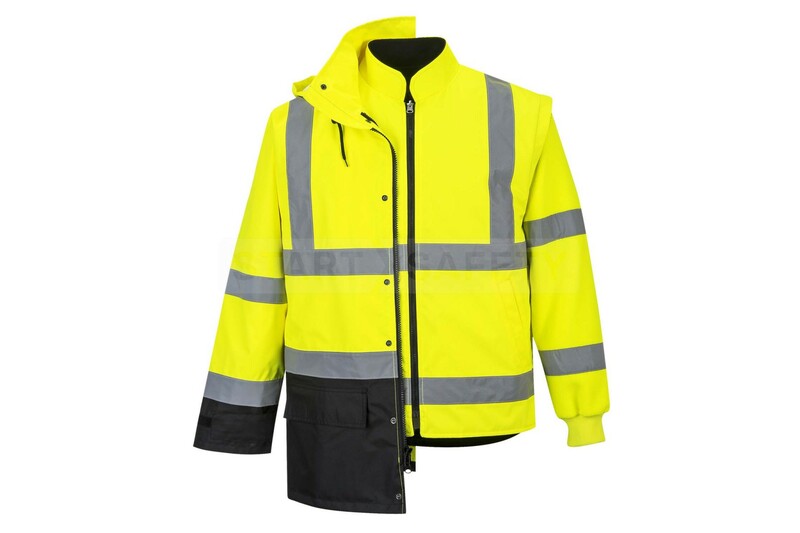 The 300 Denier oxford weave is made from 100% polyester with a stain resistant finish, so these jackets should be expected to stay bright and last. 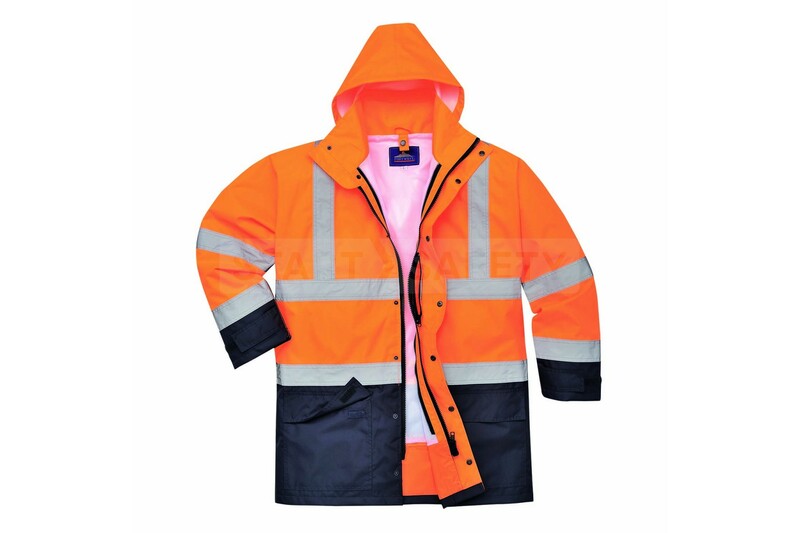 Waterproof sealed seams ensure that the wearer is kept dry even in heavy rain. A total of 7 pockets ensures storage for phones, radios and other equipment is available. 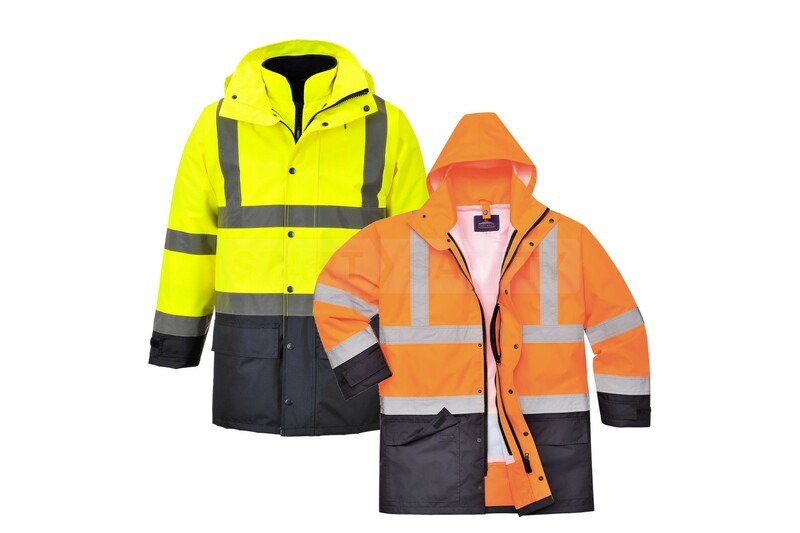 The hood can be stored away in the collar of the jacket. 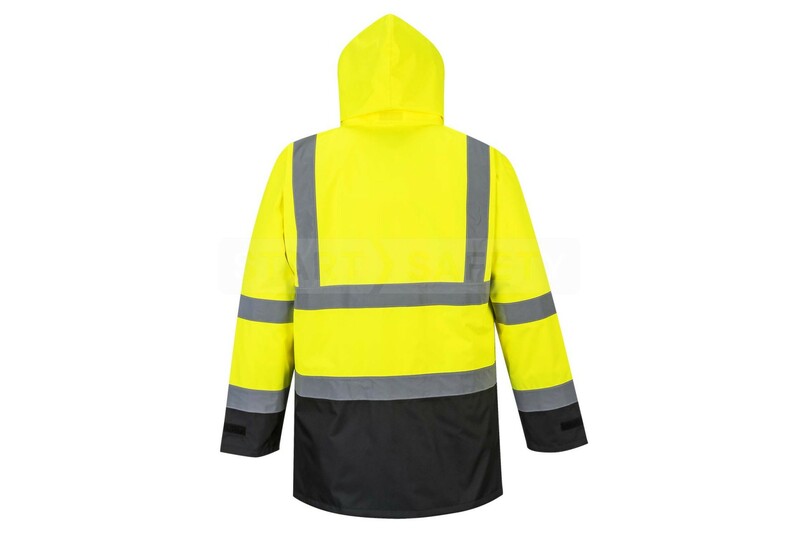 Branding is available on this item, it can be printed on the back with your company logo to ensure your staff are visible and accounted for. 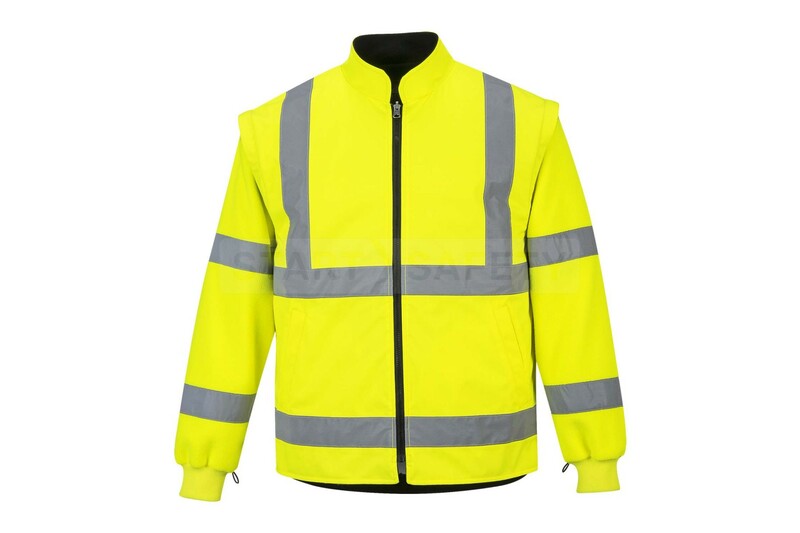 Do you have questions about this traffic jacket? Give us a call and speak to one of our trained sales team, they will be able to assist you in finding the right product for your needs. 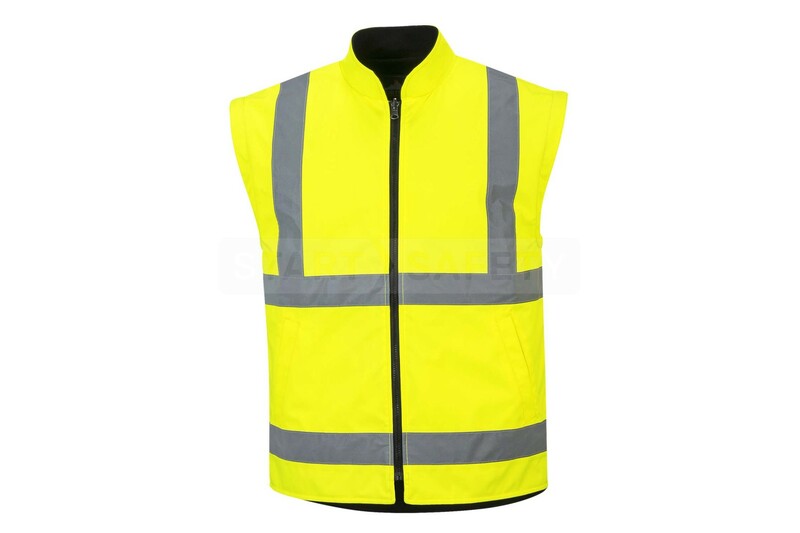 They would also be happy to discuss any bulk quantities that you may require.